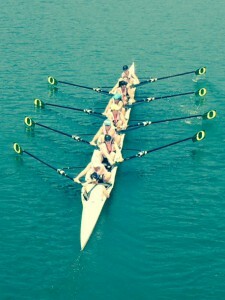 On Memorial Day weekend of May 2014, the Oregon crew’s novice women’s 8+, varsity women’s 4+, varsity men’s lightweight 4+, and the varsity men’s pair traveled to Gainesville, Georgia, for the ACRA National Championship Regatta. The men’s 4+ placed 12th overall, the men’s pair placed 8th overall, and the women’s 4+ placed 10th overall. But, most impressively, the women’s 8+ placed 2nd place overall. With this stunning performance ended our 2014 season. Great job to everyone who rowed this year! Row ducks! University of Oregon Rowing | Powered by Mantra & WordPress.